On a bright sunny day, you are at work when your cell phone rings to give you the bad news and the day becomes quite eventful. A theft or a fire in your home is not only alarming but also a traumatic situation. You go home and assess the damage but feel relieved to have home insurance. However, when your claim is denied it does leave you confused and frustrated. After all, you bought insurance so that you could claim for all damages, right? So, what do you do now? This is an unfortunate situation that many homeowners face due to various reasons. To avoid such a mess, you may understand the claims process in Canada and the role of the claims adjuster. This helps you to know what to expect, expedite the claims process and ease your mind. Silly mistakes and dishonesty could jeopardize your claim! 1 Home Insurance Claim Being Investigated Now What? Home Insurance Claim Being Investigated Now What? The very idea of being a subject of insurance claim investigation may not appeal to most of us. Especially, when all we want is to get over with the claims red tape as fast as we can and pocket the claim settlement. The type of investigation may depend majorly on the nature of your claim. As part of the investigation, the claims adjuster may try to reconstruct the events that led to the loss or damage. You may expect the investigator to follow some steps and if you are prepared in advance it could save you a lot of stress. The claims adjuster may ask questions to know the type, date, location, time and a brief summary of the claim. Do not fabricate or give more information than needed for the claim or something that you are unsure of. Your statement about your claim will be recorded and holds much value in the investigation process. Be ready to give a true statement that you can back up with proof and conviction else it may create issues later. The adjuster may ask you for evidence and other documents such as police reports, invoices, receipts, shipping records etc. They may also ask for bills of sales, titles, deeds and proof of ownership, photos, appraisals or video records. Once you provide these, the adjuster will review everything for scrutiny. Evidence such as DNA, fingerprints, computer hard drives are all part of the physical evidence that the adjuster may look at during investigation. It is important not to tamper with any such evidence that may affect the investigation. As part of your claims investigation, the adjuster may get statements from witnesses about the incident. Any discrepancy in statements may affect the claim negatively and prolong the investigation. This may be the final step in the investigation process when the adjuster submits a report to the insurer based on their findings. It may contain an opinion but could be subjective with facts. This report is very vital in case you were to dispute the claim with your insurer. 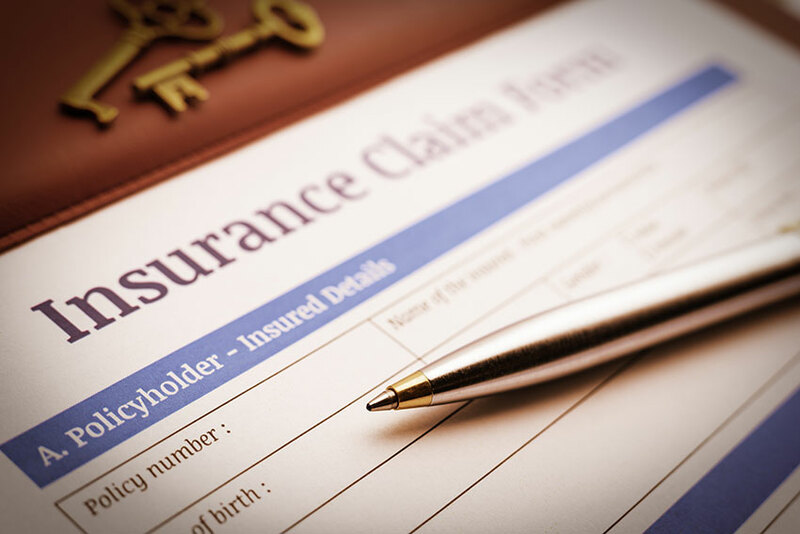 Claims adjusters investigate losses to determine the validity of the claim. The common steps that the adjusters follow for a claim investigation are as follows. The adjuster prepares a detailed report about the claim and if it was for theft then they may ask for a police report. For minor damages, they assess damages, look at 1 or more estimates and then settle the claim based on those. But for extensive losses, the adjuster may ask for more evidence, proof of ownership/purchase, photos, inventory list, receipts, bills etc. A complex and expensive claim involves a lot of paperwork and you may have to provide them to the adjuster. When you claim for fire damage then the insurer may appoint a special investigation unit to assess the damages. They may reconstruct the scenario to rule out any fraudulent claims since fire damages are expensive. As part of the claims process, the adjuster may interview you, your relatives, local pawn shops, neighbors, friends etc. and also collect records of debt and income. After the investigation is complete and the adjuster is satisfied that the claim is valid, the insurer may send you a check. This check may mention ‘paid in full’ and they may ask you to sign to release it to indicate that is the final settlement for your claim. 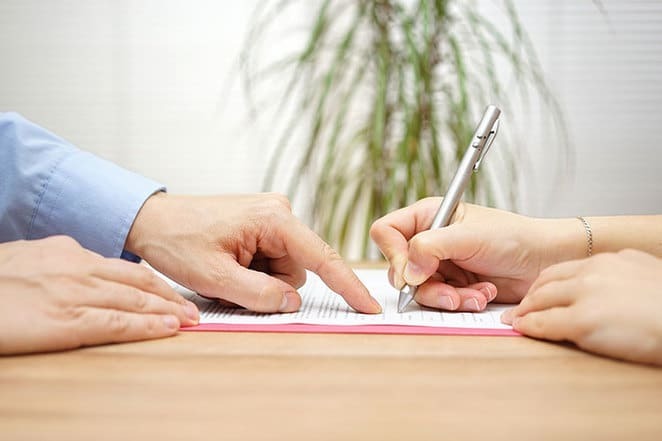 You may sign this final settlement if you are happy with the claims payout and satisfied that it is as per your coverage. When you file a home insurance claim, your insurer follows certain procedures to investigate and validate your claim. They appoint a claims adjuster who will assess the damage and report all findings to the insurer based on which they may approve or reject your claim. The adjuster may look at the evidence, proof, witness statements and gauge from all the factors whether the claim is valid or not. They would also look at how the damage could have been averted and if you were liable for any injury or damage. Especially, claims for fire damages are the most complex and the investigator has to sort out the facts to figure out if arson was involved. Or, if the fire was caused due to poor wiring or mechanical breakdown and then they will look at subrogation. This means that they will then address the party who is responsible for the faulty workmanship to recover their losses. They may look at minute details and any statement that you or the witness make has to be truthful. Any contradictory statement of facts may raise their suspicion and in no time they would find out the truth. The home insurance claims adjuster may ask you several questions to know the series of events that led to the loss or damage. They may ask you about the time, date, location, nature of the incident. Whether there was someone at home or it had been vacant for a while. And, who was the first person to notice the damage or fire and how did they respond to douse the fire or mitigate the damage. They may question your neighbors, friends, relatives and ask for your income and debt records along with proof of purchase. If it is a simple claim then the claims process would not take long to settle but for a complex significant claim, the adjuster may question you more. After all the basic series of questions about the claim and the incident, they may ask if you would like to add any more information. If you contradict any of your own answers then it might work against you and set off the alarms for the investigator. If it is a small claim then the claims process would be simple but not for a complex claim. In Canada, the (FOIPPA) or Freedom of Information & Protection of Privacy Act places certain restrictions on the Insurance Companies. IBC and other public insurance bodies may use personal information from their files to investigate and settle claims. The (PIPA) Protection of Privacy Act binds all insurance companies. When you contest a claim then the insurer is under an obligation to conduct an investigation. They appoint an adjuster to investigate your claim. This process may involve them contacting your employers, fellow workers, neighbors, friends, relatives etc. However, any personal information that they collect will be solely used for the purpose of the claims investigation only. You may follow some simple tips to survive a home insurance claims investigation. This will help to speed up the claims process and get the settlement that you deserve. Be Prepared: When you are prepared to face a claim investigation then you have a better chance of a positive outcome. So, be sure of your facts when you give out statements about the incident and the claim. Pay attention while filling out forms and double check before you sign anything about the claim. Participate in the investigation: If your claim involves complex investigation then be co-operative. By being frustrated and impatient you may lengthen the process. It is best advised to be present at the site of the damage/loss when the adjuster visits to assess the damage. Answer all questions truthfully. Do not settle for less: Just because you got tired of the claims investigation process, do not agree to an unfair settlement. Your consumer rights: As a home insurance consumer you have certain rights too along with obligations. When you have fulfilled all your obligations it is your right to get a fair claim payout for an insured damage. For this, you may have to file your claim in a timely manner and pay attention to all details. Ensure that you are claiming for an insured peril or damage, get the claims reference number and contact details of the adjuster. Document: You may keep a record of all your communication with the insurer and any evidence that you submitted. Follow up: By being proactive about your home insurance claim you may know the progress of your claim process. You may regularly keep in touch with your adjuster to keep track of updates so that there are no surprises.